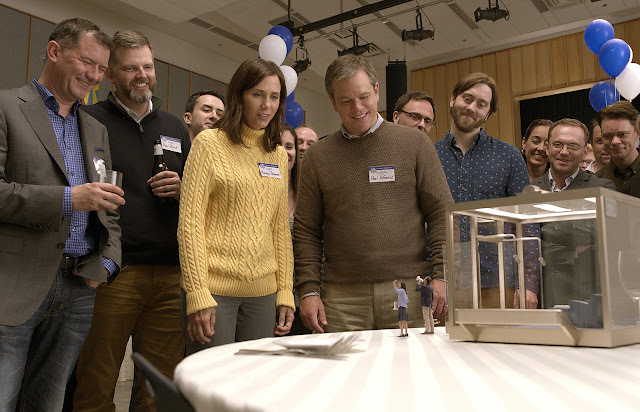 As Norwegian scientists discover how to shrink humans to five inches tall and propose a 200-year global transition from big to small, people soon realize how much further money goes in a miniaturized world, and with the promise of a better life, everyman Paul Safranek (Matt Damon) and wife Audrey (Kristen Wiig) decide to abandon their stressed lives in Omaha in order to get small and move to a new downsized community — a choice that triggers life-changing adventures. Directed by Alexander Payne the film also stars Christoph Waltz and Hong Chau. "Downsizing" is distributed by United International Pictures through Columbia Pictures and watch "Downsizing" in Philippine cinemas next year starting January 2018.